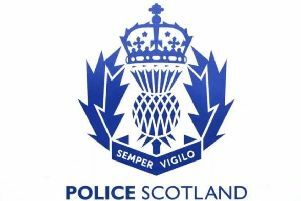 Officers in the North East are again urging members of the public to be vigilant after two recent reports of telephone scams where the victims have collectively lost in the region of £35,000. On both occasions the victims were called by a man who identified himself as being from their bank’s fraud team. He then went on to say that there had been fraudulent activity on their accounts and asked his victims to transfer money either online or by attending at their bank. The most recent incidents reported have happened in the Aberdeen and Aberdeenshire areas. Inspector Matt Smith said: “Sadly we know from experience how completely devastating these types of crimes can be. In just a few minutes a fraudster can obliterate someone’s life savings with no regard for the consequences. “Often those that are targeted are retired or are perceived to be vulnerable in some way but anyone can be a victim. “In these most recent reports the callers have pretended to be from their victim’s bank saying they are investigating fraudulent activity on their account. They ask their victim to move substantial amounts of money into an account, which they provide the details for, for safe-keeping. "The fraudsters may also induce the victims to attend their own bank or building society personally to transfer the money. "They may also claim that there is fraudulent activity happening within the bank and to ignore the advice of bank tellers if they are questioned when they attend at the bank about wishing to make a large transfer. “Banks will never make phone calls asking you to move money. If you do receive such a call, hang up and call Police immediately. "You wouldn't hand over your life savings to a stranger on the street, so you should never consider transferring money to a stranger on the other end of a phone. Banks will also never ask you to personally attend your local branch and make a transaction to a safe account. "Anyone with concerns about scam calls should call Police on 101."